THE INCREDIBLE VEGAN Chef WHO HAS QUITE LITERALLY TAKEN OVER THE WORLD! We are so excited to announce our collaboration with Chef Chloe Coscarelli for our California debut at Eat Drink Vegan festival Los Angeles! I am so proud and excited to share this news with you! This is HUGE news for us as a business, a tiny start up company in London flies to LA to collaborate with a ridiculously talented chef who has quite possibly paved the way for mainstream vegan eating across the world. 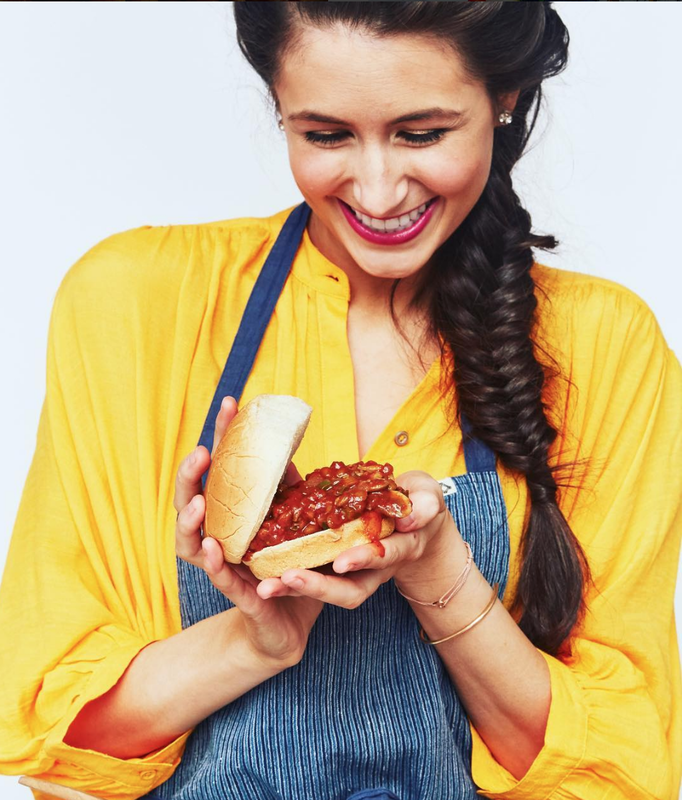 Chloe Coscarelli has been vegan since 2004–a time when veggie burgers were still feared by the general public. Since then, she has been at the forefront of the vegan revolution: Chloe believes that vegan can still mean mouthwatering foods, and she practices what she preaches. Chloe has recently written her book called Chloe Flavor, which showcases new approaches to veganism with dishes like Maple Bacon Benedict, Hawaiian Teriyaki-Pineapple Burger, and Cajun Jambalaya with Scallion Biscuits. These dishes are playful, colorful, and supremely tasty. Best of all, she’s made them as fast and as easy as possible because that’s exactly how she likes to cook. Vegans will delight in Chloe’s creativity–and carnivores won’t miss the meat one bit. SO TRUE! Chloe’s talent is limitless, her genuine heartfelt and gracious attitude to life is just infectious and this is quite simply a dream come true, to have the opportunity to work alongside Chloe for the day is just divine! This is another example of the collaborative economy when businesses and people work together to offer the best possible experience. Supporting others is instrumental to everything we have done from day one and we are beyond excited to have had the opportunity to work with Chloe on this burger! Truffle shroom patty with caramelised onion jam and oozing with truffle cheese and smashed avo! Chloe will be attending the festival and will be on our stand in the afternoon to serve up some burgers and sign copies of her new book – Chloe Flavor! WE CANNOT wait to see you there- at EAT DRINK VEGAN FESTIVAL LOS ANGELES if you don’t have a ticket – check in right now!